More than 250,000 Afghans have fled their villages during the past two years of fighting, Refugees International says, in a report critical of US Special Forces and other international and Afghan military operations for exacerbating the displacement of civilians. The total cited in the report, to be released on Tuesday, is less than 1 percent of Afghanistan’s estimated population of 28 million people, but it reflects people’s concerns about their security as the war here nears its 10-year mark and the US is poised to start withdrawing combat forces. President Barack Obama announced last week he was ordering 10,000 US troops home by year’s end; as many as 23,000 more are to leave by September 2012. That would leave 68,000 US troops in Afghanistan. “As the US begins to draw down its forces and transition responsibilities to the Afghan government, the Obama administration must mitigate further displacement and ensure that the Afghan government takes greater responsibility for the protection of displaced people,” the report said. It noted that Afghan civilians are caught in the crossfire of an intensifying military campaign against insurgents. Since the beginning of this year, more than 91,000 have fled their villages, compared with 42,000 during the same period last year, the report said. Refugees International, based in Washington, D.C., blames the increase on military operations by Afghan forces and the foreign military contingent called the International Security Assistance Force. “The increasing use of airstrikes by the International Security Assistance Force and the Afghan national security forces as well as night raids by US Special Forces is destroying homes, crops and basic infrastructure, traumatizing civilians and displacing tens of thousands of people,” the report said. The military coalition has embraced night raids as a tactic for targeting the insurgents’ leadership, preventing it from making a comeback and forcing it to the negotiating table. Some Afghan analysts, however, think it’s impossible to bomb the insurgents to the negotiating table, saying the airstrikes and night raids only embolden militants’ fighting spirit. In northern Afghanistan alone, nearly 30,000 individuals have been displaced, a more than sevenfold increase compared to last year, the report said. “Before the military escalated its campaign, Afghans were fleeing for brief periods and returning home shortly thereafter. Now, people are increasingly unwilling to return home because they fear their villages are no longer safe,” the report said. “To address this increasing instability, ISAF and Afghan national security forces must reduce the displacement caused by their operations.” Refugees International also contended the proliferation of militias is increasing insecurity, especially in the north. Many new militias operate under the guise of the US and ISAF-backed Afghan Local Police, it said. Security analysts and representatives of displaced individuals, government and humanitarian groups told the refugee organization that the “expansion of poorly vetted, ill-trained and unsupervised Afghan Local Police units and irregular militias are a major threat to civilians and stability.” The report said such armed groups have allegedly committed abuses including murder, theft, extortion, bribery and intimidation. The international military coalition defended the local police initiative, saying any allegations against the Afghan Local Police brought to the attention of Afghan forces are investigated. Refugees International also cited a March study by the United Nations that cited concerns regarding the Afghan Local Police’s “weak oversight, recruitment, vetting and command and control mechanisms, limited training for recruits.” Separately, the UN World Food Program announced Monday it will cut food assistance to more than 3 million Afghans in about half the country’s 34 provinces because of a shortage of money from donor nations. 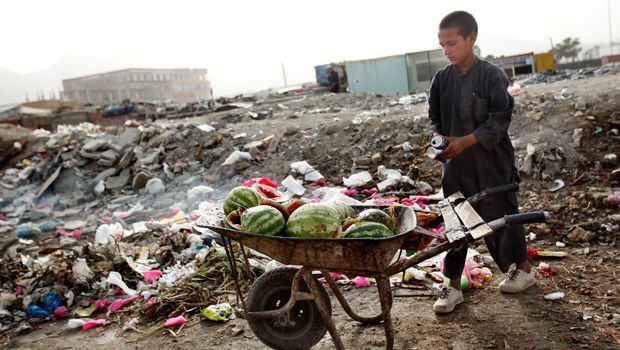 The UN agency said it had planned to help feed more than 7 million people in Afghanistan this year, but a shortage of donor funds means only 3.8 million people will be helped through meals provided at schools and training and work programs. It said it needed an additional $220 million to continue its work in Afghanistan at the level originally planned. 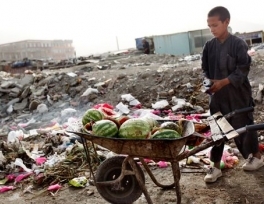 The program will focus food assistance on helping the most needy Afghans, especially women and children, said Bradley Guerrant, the agency’s deputy country director.